Ever wonder why, after picking what you thought was the shortest line, you’re the last to get through? 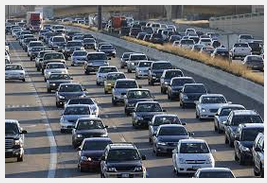 Or, why traffic can come to an absolute stand-still on the freeway with no apparent reason? There are two mathematical principles at work here (and sad to say, influencing your Plant, Shop, Factory, Project Management and Production Scheduling Plans) that are to blame, random events and covariance. Random events aren’t predictable but also occur in clusters. Think about it. By definition, you can’t predict a random event. “They” always say aircraft crashes happen in threes, or bad things happen together, but there is no other way. If we could predict an airplane crash we wouldn’t fly on that day. The more familiar reference to random events is known as ‘Murphys Law’ — anything that can go wrong, will go wrong. If the event is not deterministic, or predictable, then it will not fall within a known interval of time. Therefore, some intervals between events will be longer, some shorter. The shorter intervals are referred to as ‘clusters’. The second, less familiar mathematical principal is a phenomenon called covariance. Typically considered a vary sophisticated mathematical concept with corresponding complex solutions, just having an awareness of it is enough to help you manage the impact. If there is a possible delay, in a series of events, things tend towards the maximum delay. Now you know why your ‘short’ line is the longest. Teller changes, price checks, paper out, customer has no ID for check, ARGGH! Now think of a long line of traffic humming along at 60 mph. The front car sees a deer running out of the woods and hits brakes to slow down to, say 55 mph. 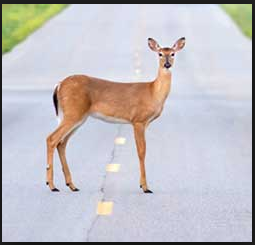 The second car doesn’t see the deer but sees the brake lights of the car in front of him. The second car MUST slow down to 55 mph or he will rear end the front car. Mathematically, he has to slow down to 55 mph minus another ‘delta’. That delta could be 1 mph or 5 mph or 10 mph. It all depends on how quickly the 2nd driver reacts, but it WILL be below 55 mph. 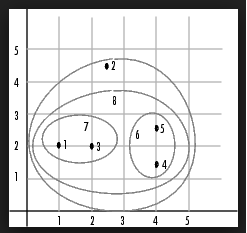 This pattern illustrates the covariance phenomenon. If the delta is 5 MPH, it only takes 12 cars to come to a complete stand still, long after deer has left. Imagine mixing random events and covariance effects together, while trying to generate and follow a reasonable production schedule! Your best option is to identifying those variables that are known (working calendar, known resources, material lead times, known process times, process flow steps, etc.) and focus on managing those. Of course, it’s pretty straightforward to accomplish that for the initial schedule. What becomes nearly impossible is to quickly react to all the random and covariance related unexpected events that will wreak havoc on that initial schedule. After all, who wants to spend hours upon hours manually redoing a new schedule, only to have to do it over and over again as things don’t go according to plan? That is where an automated production scheduling system, that is geared toward reacting to any event, and with one button can re-balance the entire schedule, can become a strategic asset to any company. So, the solution is to manage the variables that are known and leverage an automated system that can accommodate the unexpected (random events) and negative effects of accumulated delays (covariance).